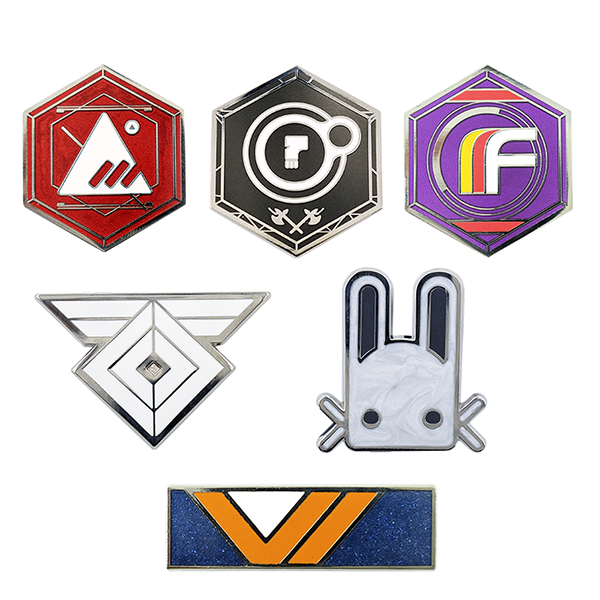 Individual and blind bundle packs are available (while supplies last) on the official merchandise store. 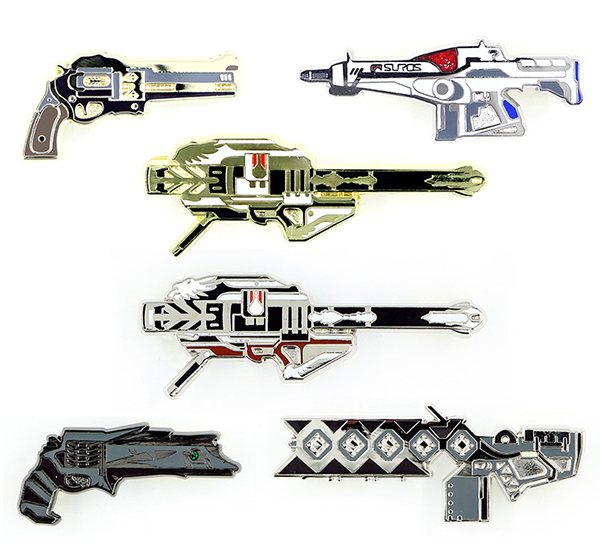 Above: Weapons standard pin pack includes three regular pins plus one randomly generated fourth pin. 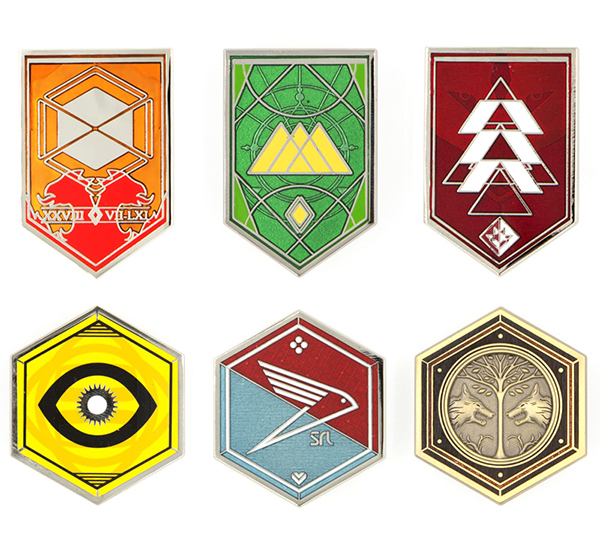 These three include The Last Word, Suros, and the classic Gjallarhorn. 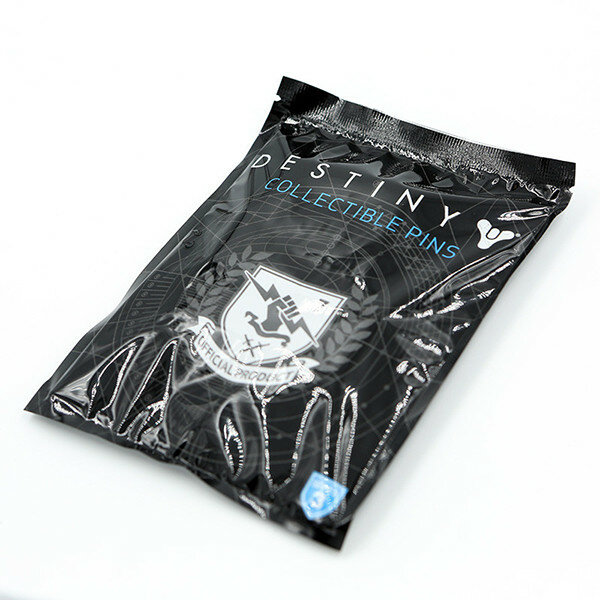 The packaging of the collectible pins was pre-concepted by the merchandise team to allow for blind-pick randoms and rare selections. The bags made a solid material with a tearaway top tab. 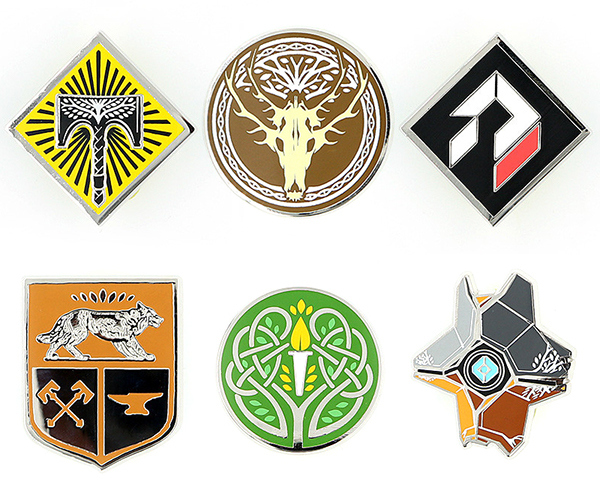 A variety of enamel pin and packaging design for the hit video game Destiny.